Well after numerous mechanical problems during F1 testing in Barcelona, it’s got fans wondering if it really was all Honda’s fault these last few years. Seems like it wasn't @HondaRacingF1 problem after all. @ToroRosso is doing just fine while @alo_oficial & @svandoorne are still breaking down on the track or not running long or not leaving the paddock, unlike @redbullracing and @RenaultSportF1. What's the real deal, @McLarenF1? So @McLarenF1 had cooling issues due to tight design and oil cooling issues last season. Now a new engine and again those issues? Or am i looking negative at it? The @HondaRacingF1 seems to work fine in the @ToroRosso and the Renault goes well in the other cars. 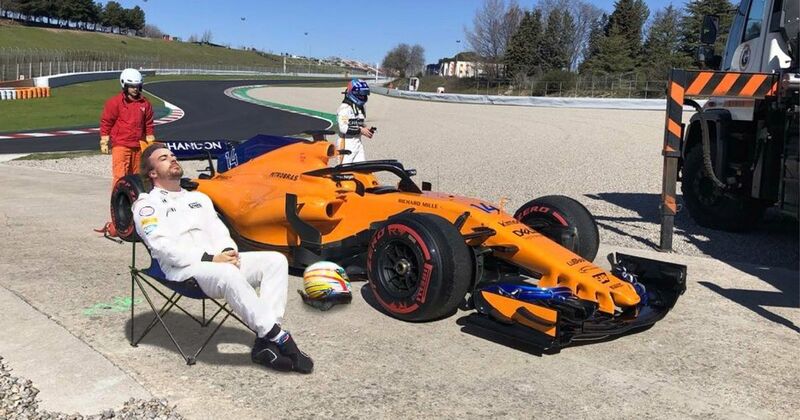 Are fans too quick to jump on more McLaren reliability, is it just teething problems for the change in engine supplier, or are the team going to be left embarrassed this year?